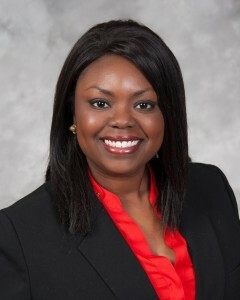 Latonya Grotegeers, is an Associate Attorney for the Law Office of Gillespie, Hetlage & Coughlin, L.L.C. Ms. Grotegeers has significant experience in litigating family law, with a particular emphasis on matters relating to the dissolution of marriage: divorce representation and mediation, child custody and child support. She is a native St. Louisan and a graduate of the Valparaiso University School of Law in Valparaiso, IN., 2012. She also earned a Master of Laws (LLM), Taxation from Boston University in 2017. Ms. Grotegeers is a 2009 graduate of the University of Central Missouri in Warrensburg, MO where she earned a B.S. in Political Science and minor in Criminal Justice. She considers herself a people person, which enables her to relate to many different kinds of people comfortably. That trait is useful when practicing family law as she works with clients facing a plethora of problems during what is often one of the most challenging times of their lives. With an honest and upfront approach, she is able to put her clients at ease as she works to help them reach their goals in court. In addition to family law, Ms. Grotegeers has experience practicing criminal law and estate planning. Juris Doctor at the Valparaiso University School of Law in Valparaiso, IN – 2012. Master of Laws (LLM), Taxation from Boston University -2017. B.S. in Political Science and minor in Criminal Justice, University of Central Missouri in Warrensburg, MO -2009. Order of Omega-Greek Honors Fraternity. In 2017, she was selected for membership into the National Black Lawyers – Top 40 Under 40 in the state of Missouri, making her, a member of an elite group of top attorneys from the state.